Professional Development provides reflexologists with further knowledge and increases their capability and competency from basic know-how to a more advanced complex understanding. MSCM offers qualified reflexologists a wide ranging choice of useful and relevant cpd courses and workshops providing new techniques and advanced knowledge. Has it been a while since you trained? This one day workshop will have you back working the feet with renewed confidence and enthusiasm. Our aim is that you will leave the workshop ready to receive your first client. By renewing your skills and regaining your confidence you can begin to enhance the earning potential by offering Reflexology to regular clients, or you could work with voluntary organisations in many different fields. Don’t waste your skills; they just need some encouragement to re-appear. Remember how excited you were when you started training, well those feeling can be found and enjoyed once more. How to provide a treatment tailored to the client’s needs. At the end of the course all participants will be able to carry out safe and effective foot treatments. The workshop will be largely practical in content and you will be required to wear appropriate clinic workwear for the duration of the course. During the session you will practise on each other under the supervision of the tutor who will offer guidance and feedback. Auricular reflexology is a fast-growing therapy. based on a combination of traditional Chinese Acupuncture and Auriculotherapy, a therapy developed in France by Dr Paul Nogier in the 1950’s. Treatments on the ears were recorded in the earliest Chinese medical books dating back to ancient times. Auricular Reflexology works through the stimulation of the external part of the ear with the same way as traditional foot and hand reflexology: that the whole body is mirrored on the ear. Stimulation to a specific point on the ear that corresponds to a specific point in the body, will bring balance to that area either through an increase or decrease of energy. The ear is supplied by numerous nerves and it is believed that Auricular Reflexology also works by directly stimulating the central nervous system. There are over 200 acu-points on the ear which are used in Chinese Acupuncture. In Auricular Reflexology we use a selection of these and instead of using needles, seeds or magnets, we stimulate the points using finger and thumb pressure. Auricular reflexology is not as well-known as foot or hand reflexology, but can be particularly helpful for the relief and management of pain. Application of auricular reflexology is fast and easy. You massage pressure points on the ear to treat aches and pains throughout the body. Auricular Reflexology is a standalone therapy or can be offered in conjunction with a regular foot/hand reflexology session. It is a simple and extremely efficient therapy, primarily because the ears are easily accessible, and people do not have to remove any clothing to receive treatment. It can be used in all age groups (children to the elderly). Treatment is most beneficial when it is administered regularly, i.e. once or twice a week. Most clients find that having their ears worked is deeply relaxing and stimulating at the same time. Furthermore, it is a rewarding and effective therapy that enables you to empower your clients to help themselves. You can learn a lot about a person and their state of health from assessing the ears. The MSCM Auricular Reflexology workshop covers everything you need to know to be able to give an effective ear reflexology session including. By attending this workshop, you will be adding this valuable tool to your toolkit! This course is open to qualified reflexologists only. The workshop will be largely practical in content and you will be required to wear appropriate clinic workwear for the duration of the course. During the session you will practise on each other under the supervision of the tutor who will offer guidance and feedback. Short nails on the thumb and index finger will also be required for effectiveness. Good analysis skills together with sensitivity and an empathic understanding of the physical, emotional and cultural needs of your clients will enable you to achieve better results for them. Therapists who develop a sophisticated level of oral communication skills in practical work with clients are better able to interpret client needs and relate and respond to in the most appropriate and effective way. 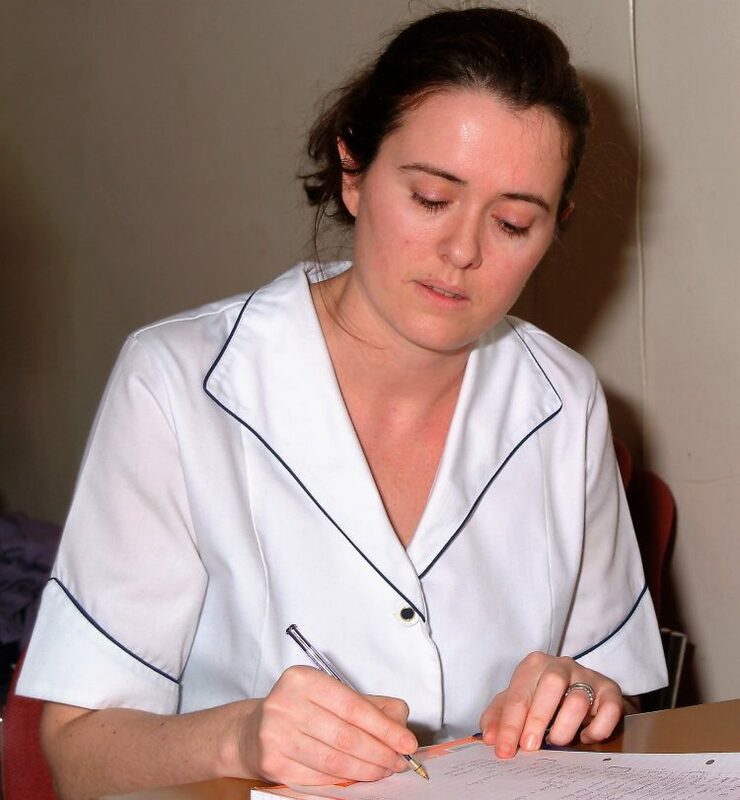 Communicating appropriate complex information to clients, explaining and reassuring during treatment sessions and advising on post treatment needs is a sign of excellence in a therapist. During this workshop we will be taking into consideration the consultation process, with a purpose of building an appropriate rapport with our client, enabling us to easily collect the information we require to complete a full and safe treatment for that client. We will also be looking at how to assess the feet and associate what our client is telling us and what we are observing on the feet. This process enables us to continue to build a picture of our client and develop our treatment appropriately. By developing these skills we will enhance the service we are providing for our clients. We will make them feel safe and secure, developing a therapeutic environment where the benefits of reflexology can be fully embraced by them. This in turn will encourage them to rebook and recommend you to their friends and colleagues. This wonderful indulgent therapy is becoming increasingly popular due to its extraordinary beneficial effects. More and more therapists are adding it to their menu of individual services. The idea of `melting your cares away` captures the imagination of therapists and clients alike. Hot stone reflexology combines the benefits of a conventional reflexology treatment with the use of pre-warmed iron-rich volcanic basalt stones to enable deep stimulation of the reflex points. Using large stones to warm and massage the legs and feet, and smaller stones to work reflex points and deeper reflex areas results in a relaxing, restorative and deeply rejuvenating treatment. As with conventional reflexology, attention is paid to specific problem areas, while working on the body as a whole to create harmony and balance. 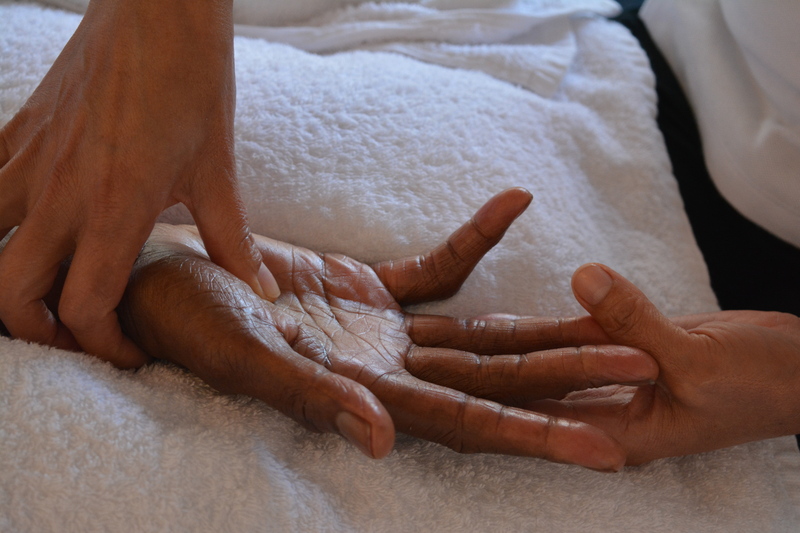 During the treatment, the client is engulfed in warmth and comfort, allowing you to work deeper with no extra effort and no danger of unnecessary injury to your own hands, wrists, fingers or thumbs. 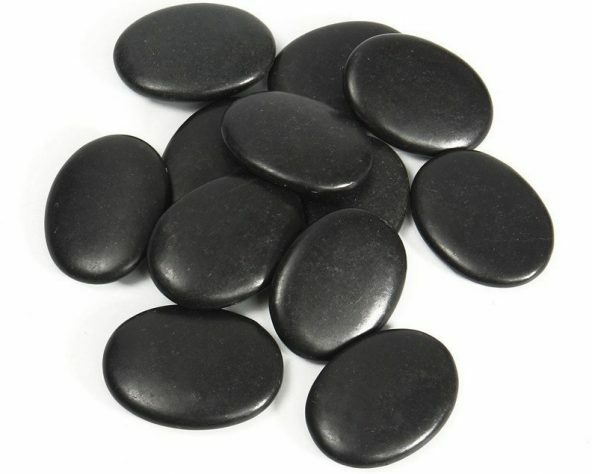 The energies from the stones promote a meditative and calm state, helping to relax to the deepest state possible and clients feel the warm nurturing and healing effects long after the treatment is over. Traditionally stones were heated in large water heaters making it more suitable as a clinic-based therapy. The introduction of mobile stone heating bags has allowed this to become a popular therapy option for mobile therapists too. This incredible therapy can turn your reflexology business around. It is financially more rewarding than regular treatments and you will find it adds such an exciting new dimension to your practice that it will improve client retention. Adding the element of stones will enable you to offer a treatment, which feels totally different to anything the client may have experienced before. The workshop will be largely practical in content and students will be required to wear appropriate workwear for the duration of the course. During the session you will practise on each under supervision of the tutor who will offer guidance and feedback. Hot stone sets and heaters will be provided for your use during the practical sessions. Malfunctions of the digestive system have a direct affect on our entire general health, which if left untreated can lead to more chronic problems. Digestive problems are increasing in the modern world, particularly in the West. In UK we spend billions of pounds on over-the-counter and prescription medication hoping to relieve digestive problems. Symptoms can come in the form of constipation, diarrhoea, gas, bloating, irritable bowel syndrome, and other common complaints of a digestive nature. Untreated, digestive disorders may affect one`s quality of life, immune system, social well-being, and job productivity. On the other hand, the side-effects of steroid medications and other drugs used to treat digestive problems are very hard on the body. There are ways to address the underlying factors that contribute to the problem without the use of drugs. Research offers evidence that Reflexology, for example, can be very effective in treating digestive conditions. In this workshop we learn about what the problems are and what may cause them, and about how reflexology can be used to aid your client’s digestive health, leading to overall good general health and well being. You must be a qualified reflexologist to attend this workshop. This workshop is for reflexologists who would like to add a new dimension to their therapy and who may wish to specialise in this particular area of Reflexology. Please note: The workshop will be largely practical in content and students will be required to wear appropriate workwear for the duration of the course. Reflexology continues to grow in popularity in these current times of stress and worry. Often upto 90% of clients are female and therefore reflexologists find themselves presented with a number of issues with regard to the natural cycles of a woman’s life. Some clients will progress from one stage to the next without any concerns; however there are those that suffer at all the stages or some of them. As qualified reflexologists we have the knowledge of how beneficial the treatment is with regard to restoring balance on a physical and psychological level. Crystal reflexology combines the advantages of reflexology with the powerful healing energies of crystals, resulting in a subtle re-balancing and harmonising on all levels, physical, emotional, mental and spiritual. Using a crystal to perform the reflexology, as well as placing the crystals on, around and underneath the body, can bring about a completely different reflexology experience for the recipient. They may feel a wave of peace, or knowing. They may experience a release of something they’ve been holding onto for a while. The effects for each person, from each crystal, are always different. This unique course is designed for qualified reflexologists who wish to use the vibrational energy of crystals within their practical application of reflexology.It will show you how to use the healing energy of crystals and how to integrate them into your reflexology routine. Crystal Reflexology works in the same way as standard reflexology but with the integration of crystals to enhance the treatment and give greater results. It is a gentler treatment that uses a crystal as opposed to the therapist’s thumb or finger. Minimal pressure is applied as the crystal’s energy works the reflexes and therefore this treatment would suit anyone, including those that find standard reflexology too painful or uncomfortable. Reflexologists who are looking to protect or rest their thumbs can also benefit from this treatment. This workshop is designed for qualified reflexologists. You will be handling the crystals and working with them on the day. The workshop will be largely practical in content and you will be required to wear appropriate clinic workwear for the duration of the course. Crystals will be provided for your use during the practical sessions and you will practise on each under supervision of the tutor who will offer guidance and feedback. Hand reflexology is an art! It is a fantastic adaptation to foot reflexology and can be used with a variety of clients in a multitude of settings. By palpating and applying pressure to specific points, the entire body can benefit. The aim is to stimulate reflexes points with precision causing the body to respond by increasing localized circulation and nerve impulses. This rapidly spreads the electrical activity within the membrane from one reflex to another leading to the transmission of information to the central nervous system. This then responds by sending out a response impulse to organs, glands and muscles. It is a fact that the reflexes are situated deeper in the hands and as a result more pressure is required in order to produce the same results as foot reflexology. However, if a gentler treatment is desirable for a client, then hand reflexology may be preferable to foot reflexology as it is generally considered less powerful. Some clients including elderly, bereaved, terminally ill clients and bed-bound find hand reflexology more beneficial than foot reflexology. Stress and emotional disorders also respond particularly well to hand reflexology. This course is a must for all qualified reflexologists. You will be able to tailor your treatments to client’s requirements, work in different venues and with different clients, those who may have been deprived of your treatment in the past. The enhanced knowledge will also enable you to improve homecare advice for clients enabling them to work towards their own wellbeing by showing them reflex points to work themselves. Often seen as the poor relation to foot reflexology hand reflexology is a simple treatment to offer and very effective. Clients who are unable to receive foot reflexology will appreciate the treatment, the touch and the time you can give them. The workshop will be largely practical in content and you will be required to wear appropriate clinic workwear for the duration of the course. You will practise on each under supervision of the tutor who will offer guidance and feedback. Facial Reflexology originated from a Vietnamese system of Facial acupressure developed in the 1980’s by doctors in Vietnam to replace more invasive facial acupunture. This style of Facial Reflexology known as Dien ‘Cham’ was first introduced to France by Nhuan Le Quang. Sharing the same principles as Foot Reflexology that areas on the face correspond to specific areas of the body, it is a gentle method of stimulation of 57 Facial acupressure points and associated reflexology zones. Facial Reflexology is a wonderful energy rebalancing therapy that engages with the natural healing processes within the body. Clients will experience profound states of relaxation from this gentle and soothing treatment. Careful palpation and stimulation of the plentiful supply of nerves and blood vessels within the facial muscles and soft tissue not only re-energises and increases circulation but also has the added bonus of leaving the face looking smoother, more toned and radiant. Facial Reflexology is versatile as it can be given anywhere. Clients remain fully clothed throughout the treatment, which can be carried out using a couch or a chair. Upon completion you will enhance your practice by being be able to offer clients an alternative to foot reflexology or a mixed treatment. It will help you attract new clients and offer another effective therapy. This treatment can be used as a stand-alone therapy, or as an additional set of tools and techniques. Please be advised this workshop is not based on the teachings of Face Reflexology Sorensensistem™ or `The Bergman Method` Facial Reflexology. This one-day workshop is designed as an advanced workshop open to qualified Reflexologists, Indian Head Massage Therapists and Massage Therapists. The meridian system of the human body is a delicate, yet intricate network of invisible interconnecting energy pathways. The energy circulating through the meridians, known as Qi, is our vital life force energy and considered the foundation of health. It traverses the body in exact and orderly patterns. When the energy flow is compromised, the body shows many signs of energy congestion. Why is this important in reflexology? During treatments there will be times when you will feel an area of imbalance or a sensation that you cannot attribute to a reflexology point or zone. By looking at these areas in more detail, we find that they are often on a meridian pathway or a specific tsubo point. Each time we carry out a reflexology treatment we are, albeit unknowingly, working over the meridians as 12 of the 14 meridians either start or end in the hand or foot. By enhancing our reflexology treatments with a greater knowledge and understanding of meridians and by learning to work the meridian lines and tsubo points found in the feet and hands you have the opportunity to correct imbalances with specific techniques and help to restore health. Linking Meridians into Reflexology helps you to understand the inconsistencies that arise and offers even greater results to your clients by adding another layer of healing support to your sessions. This workshop takes a deeper look at the meridians of the feet and hands. Each meridian is associated with an organ. Imbalance in the meridian will lead to imbalance in the organ and potentially ill health or dis-ease. During the workshop we will learn to feel the energy of the meridian and learn which points are affective to access in specific common conditions and which ones to avoid in situations such as high blood pressure and pregnancy. Meridian reflexology extends the scope of reflexology enormously. It leads to the discovery of exciting additional treatment areas that can be added to your standard reflexology session. It can also lead to faster results and a more physically and emotionally balanced client. You must be a qualified reflexologist to attend this workshop. Please note: The workshop will be largely practical in content and students will be required to wear appropriate workwear for the duration of the course. 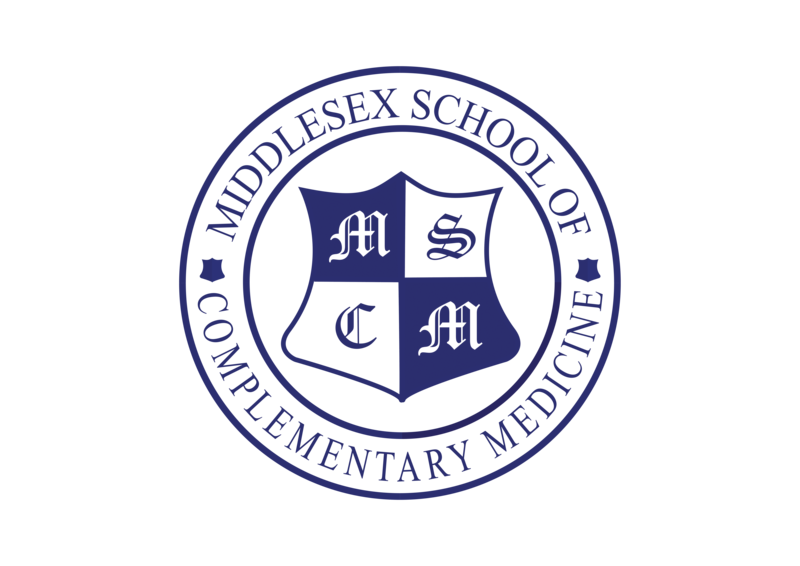 In addition to drawing and locating the meridians you will practise on each under supervision of the tutor who will offer guidance and feedback.